VARGAR COMPANY would like your support! We don’t want Vargar to ever become pay to play but we do need your help. If you love the game like we do please help out and give us a hand. A few dollars a month would go a long way. If 30 people just gave $1.00 a month that would cover the can of glue we go through every month. We hand make our weapons and shields. 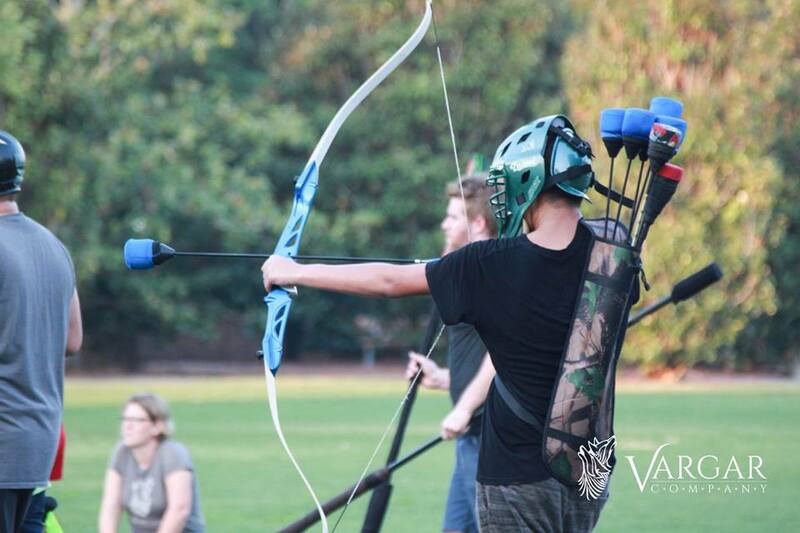 For events and practices, we are able to bring many weapons so that participants can get the feel of fighting with foam swords, shields, axes, and more. We need your help to maintain our armory and develop new and better weapons. The nature of Mock Combat is destructive to the gear and repairs are a continual costs. Please chip in and aid Vargar in maintaining the safest and most up to date armory possible. If 4 people just gave $5.00 a month that would cover the tape we go through every month. We are also expanding our outreach and use of media. This new push is for all of us. We all love the big field battles and games and to do that we need to recruit. Getting the word out and attending events is crucial to the growth and development of Mock Combat. Your support goes to the fliers, business cards, wavers, sings, website & maintenance ETC… If 2 people just gave $10.00 a month that would cover the wavers we go through every month. This is the simple everyday stuff that make Vargar shine. We stand above all other groups when the day is done because we have the best team making sure we have the bets equipment, origination and promotional materials. Help us keep that edge and show everyone what Vargar is made of. The two biggest ways to help RIGHT NOW are to Join us on PATREON and Like our Facebook Page and share it with friends. Click on the Donation links below!